Here's IPL 2019 Predict and Win Smartphone Worth Rs 13,999 its Honor Phone. 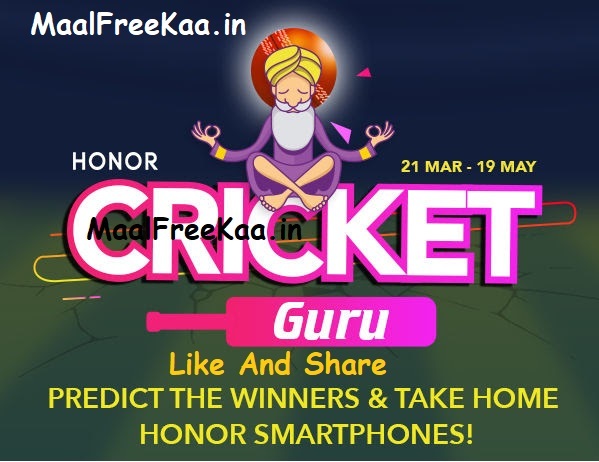 Predict Daily IPL Winners and Get Free Honor Smartphone Worth Rs 13999/-. IPL Bat Cricket Guru Here. Predict The Winners of the IPL Match Daily Based and Take Home Honor Smartphone as Free. All Match Predictions to be submitted before daily 11:59 PM of the previous day. Thanks for your predictions Guru. Let's wait and see how accurate you are. Come back tomorrow to guess again.